What: See, taste, feel and understand bread in a way you’ve never before. Seriously. A day course on the basics of bread; what goes into it (very little), what mass produced bread contains (lots of nasties) and how to make your own. And by how to make your own, I mean how to make a lot of bread in a relatively short space of time. We made loaves, buns, batons, ciabatta, wholemeal bread, white bread, glimpsed the wonders of sourdough, pizza and fougasse all in one day. Oh, and went home with the dough for brioche, to be cooked the next day. Would I go again?Without a doubt. 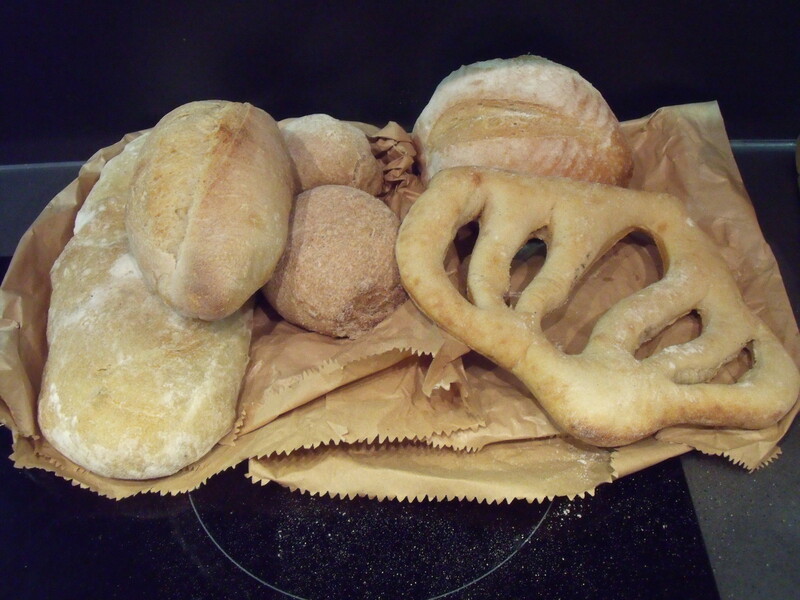 The course was fascinating, not only to see the ease of making your own bread, but also the magic of it. Call me silly, but to see flour, water, yeast and salt transform into dough and then left for a couple of hours double in size, is fairly amazing. The course is paced well, with enough time to make a mountain of bread, but also to chat to the others on the course, eat freshly made brioche for elevenses, cook and make pizza for lunch and ask questions. And we did ask a lot of questions; from where to get the flour to what liquids to use and whether breadmakers are a good idea (yes and no). In fact, I enjoyed the course so much that three days later I’ve had a go at making my own bread from the booklet provided. What’cha think?